TheStreet hits up Alibaba's big hiring event in Detroit. President Trump may not be too keen on globalization, but Alibaba's (BABA - Get Report) visionary co-founder and executive chairman Jack Ma certainly is. "I am a believer in globalization and free trade," Ma told the media at an event held in Detroit, MI. on Tuesday. "The past twenty years, globalization and free trade are good, but it has been designed for big companies and developed countries." Added Ma, "The next 30 years we should make globalization more inclusive, supporting small businesses, young people, farmers. The world needs people like us [Alibaba] -- globalization is good, we need to improve it we shouldn't kill it because the babies are crying too much." 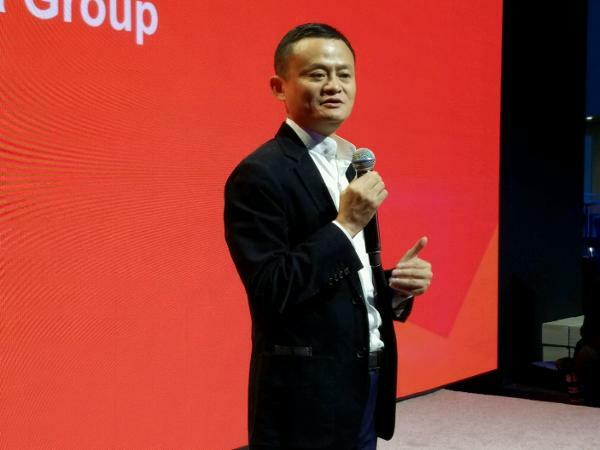 Alibaba's conference in Michigan is aimed at small businesses in the U.S., and will run from Tuesday to Wednesday. Ma has a special interest in signing up U.S. sellers because he made a promise to the Trump administration in January to create 1 million jobs in the U.S.
Those doubting Ma could pull off such a feat may want to think twice. Alibaba President Michael Evans spoke to TheStreet about what it's like working with such a determined leader like Ma in an interview in Detroit. People like Ma don't come around often, Evans admitted. "I think Jack is a very, very unusual leader," he said. "Truly, he's a visionary." What sets Ma apart from everyone else is his ability to have a long term vision for his company, while also maintaining a short-term, action-oriented philosophy that allows him to adapt to regulatory and market changes. "If you fall in love with the long term vision and you don't continuously adapt to be competitive. . . then you can easily get out of step," Evans explained. Visit here for the latest business headlines.